The U.S. Navy is working on a new head-up display (HUD) that will provide combat divers with better underwater navigation while keeping their hands free to do other tasks. While those who dive for recreational reasons often confine themselves to parts of the ocean that have high levels of visibility, Navy divers have no such luxury. They are often forced to work in conditions where the water is too dark to see wrist-mounted equipment even with the aid of external lights. The Shadow NAV, developed by James Fisher and Sons alongside the Smart Ship System Design (S3D) team of the U.S. Navy’s Naval Surface Warfare Center (NSWC) aims to solve that problem. The device is mounted onto a diver’s standard headgear, and provides information such as compass headings, the diver’s depth, and other vital data. 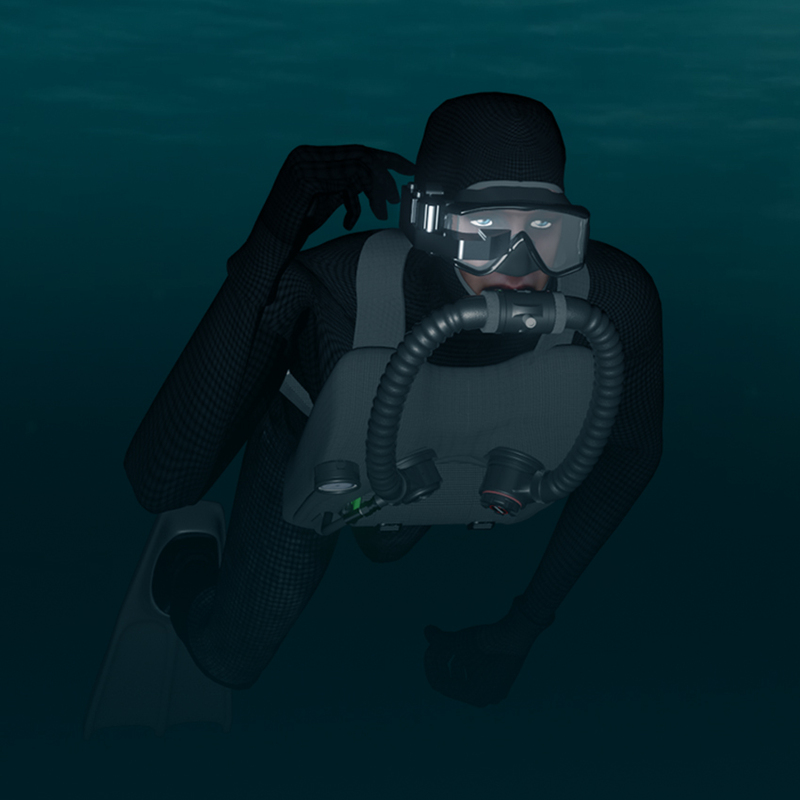 The hope is that the Shadow NAV will reduce the amount of equipment divers need to take on missions, and provide a way for them to navigate in conditions with poor or no light. “To address these challenges for potentially dangerous underwater combat missions, the expert technical team S3D at the NSWC PCD (Panama City Division) worked to develop a small, low-cost, low-power enhanced navigation capability to significantly improve safety standards for military divers, and give them the best possible chance of successfully completing their missions,” James Fisher and Sons’ Danny Gray said in a press release. In terms of battery life, the Shadow Nav’s spec sheet says that it should work for more than 20 hours between charges. While the Shadow Nav was developed alongside the U.S. military, other divers will likely be able to make use of the device as well. James Fisher and Sons have said that they plan to release the hardware to divers across the world. In addition to the obvious military applications, this could be helpful for salvage operations or any other situation where divers need to work in low-light conditions. One question that the press release does not answer is when the Shadow NAV will be available. While the press release does say that James Fisher and Sons plans to bring the device to “commercial fruition” so that “the global diving industry, military and non-military, can conduct safe and efficient operations,” they do not provide a timetable for this launch.